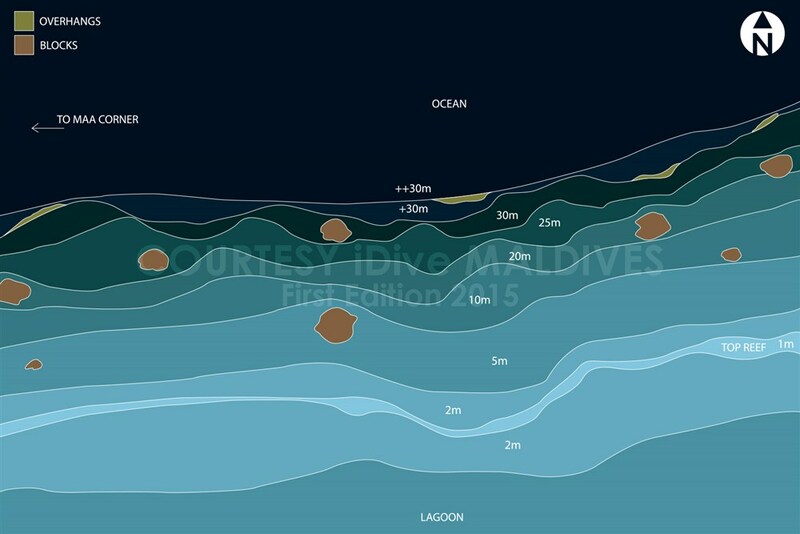 This dive site is located on the North outer reef of Seenu Atoll. It offers very different sights from inside the lagoon, as it is made of an exceptional coral garden. The depths are made of a slope going from the surface down to 30 meters deep and hosing different species of hard corals, and then changing into a vertical wall. Small fishes and Manta rays are the most common species to spot there. 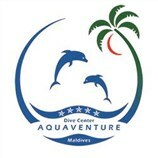 The site is adapted for beginner divers. You can enter the water 100 meters east of the channel entry for a right shoulder dive or a little farther for a left shoulder dive, according to the current’s orientation. You can then dive at any depth between the surface and 30 meters, and will be able to see marine life on the reef and in open water for bigger fish. You can ascend anywhere, but it is recommended to do it away from shallow water for an easier recovery by the dhoni. This dive sites hosts many hard corals that must be taken care of. Control your buoyancy and avoid touching the reef. Maa Beyru is accessible thoughout the year.